Federal, state and the state capital Stuttgart has promoted for decades the construction of social housing. In return, the owners have committed to comply with certain occupancy and rent restrictions. Basically owners will give tenants cheap apartment for rent with certain conditions. 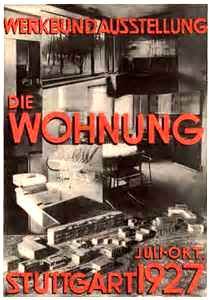 The person so entitled (usually the owner) may only leave a social housing unit to a home seeker to use when this before his Wohnberechtigungsschein (housing certificate) is given by a Wohnberechtigungsschein (department handing out certificate). The apartment cannot exceed the appropriate apartment size and people lacking the right designation may not live there. Depending on apartment type or type of grant can be considered partially increased by up to 60% income limits. Apartments with urban occupancy rights The city has the occupancy rights to 16,500 apartments in Stuttgart. Apartments are assigned using a waitlist system. Once a tenant moves out, the city decides who will move in next. This time can vary from 6 months to 1.5 years depending on vacates and remodeling. The house hunter is taken in accordance with the rules adopted by the council – and occupancy guidelines. The most important prerequisites for a reservation are a minimum of three years’ residence in Stuttgart (exception: work in Stuttgart) and a minimum age of single persons of 25 years. Statutes maximum rents The maximum allowable rent for social housing in Stuttgart is determined by a municipal statute for publicly subsidized apartments in Baden-Württemberg. This occurred on 1 January 2009 following the abolition of rent costs. Starting in 2011, the reported prime rents are updated with the rent increases of the respective rent prices. The city funds the construction of new social rental housing through subsidized urban land, subsidized loans, and if necessary also with grants. As far as land resources are available, the city will also dispense them when available. The apartments must be rented only to apartment seekers with Wohnberechtigungsschein (housing certificates) within certain income limits. Basically, a rent cap of 25 years is provided. For the social rental housing a bond length of rental and occupancy of 15 years is set. The apartments can in the 15-year commitment period (during the first renting only) up to a max of. 7,50 Euro per month per sqm. The rent may be increased during the bond period only as specified in the respective national housing assistance program. The difference to the local comparative rent is payable by the plan beneficiaries and will be credited after considering the country’s promotion as a burden. All apartments are to be planned that the respective funding requirements of the country and the city are met. Living space is becoming increasingly scarce in the Stuttgart area. The rental rates rise, so that many people can no longer afford their homes any more. At the same time, social housing has fallen dramatically in recent decades. In one study, scientists show at the Institute of Construction Management (IBL) at the University of Stuttgart ways in which it could be cool for investors to build social housing. Until the late 80s, laws and state subsidies apply to social housing in Germany. Since this has been abolished, the construction of social housing has regressed and many older units have been privatized. Some social scientists have asked what would make it more attractive for private investors to plan their projects in social housing? “With social housing only a small rent can be generated, thus the returns of the overall project are reduced,” says a researcher at the IBL. Even if you build low, the costs are not covered by the expected rent. This resulted in the question of what options can provide the public sector, to make it more economically attractive for private investors to build social housing. In the study, various incentives were examined that focus fundamentally on two points: First, the financial side – in the form of concessionary loans or a discount on the purchase of public land, as it is already the case in some cities. Next a tax advantage- for example, with a kind of special depreciation for social housing. It might also be conceivable to set up additional opportunities in construction law. Municipalities could identify areas of land use and development plans to make development easier. In addition, builders could be allowed to build larger than the original development plan dictates if the end result is additional social housing development. Investor’s project-related development plans could also be offered. Simplifying and optimizing the procedures in order to shorten the approval process and the entire planning period is another area that could be improved. Exceptions in other areas that can cause gridlock in the permitting process could further encourage developers to be more attracted to social housing building. Politicians are fiercely debating social housing development in recent weeks. While the mood for social housing development is strong, the discourse over how differs between political fractions. According to the Baden-Württemberg’s Finance Minister Nils Schmid (SPD) over, EUR 290 million is already promised for social housing over the next two years. The funds for this come from federal and state coffers. Schmid expects that up to 60,000 affordable homes per year are needed to accommodate the people in the state. This bill also contains housing for refugees with the right to stay. Simplify building sites. For this purpose, according to Schmid must for example nature conservation legislation be relaxed. Building Regulations – such as the number of car-parking places per newly built apartment. Schmid wants to create tax incentives for private investors. He is counting on special depreciation. Conclusion: Baden-Württemberg and Stuttgart are high income areas where the housing market is extremely tight. People without the benefit of a high income are not finding it easy to find affordable housing within the city. The internal bickering of politicians and unwillingness to quickly resolve negative regulations that hurt social housing development paint a bleak outlook. Germany as a country is behind the gun but high income areas like Stuttgart are in a tough place. Unless more pressure is brought by citizens, it is likely politicians will continue to spin their wheels and waste time while citizens hope for the housing market to ease.